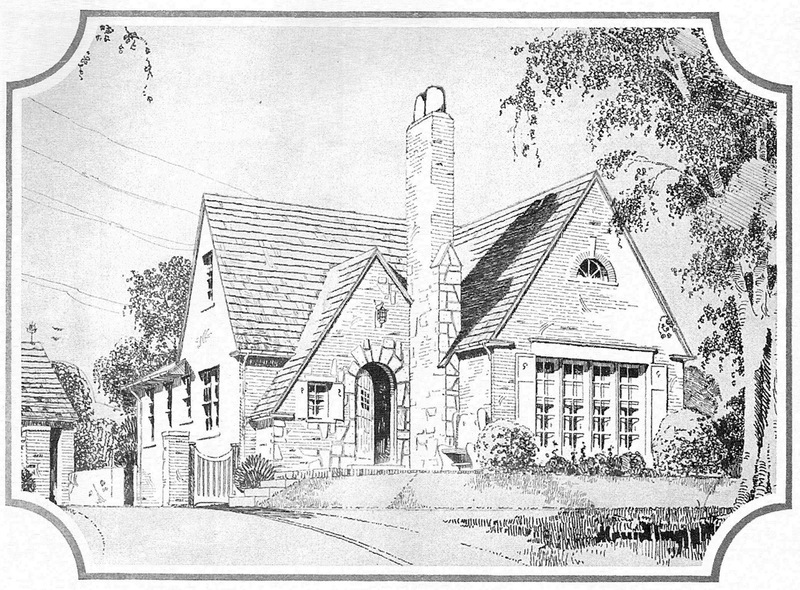 In the United States, residential construction dramatically slowed in 1929. 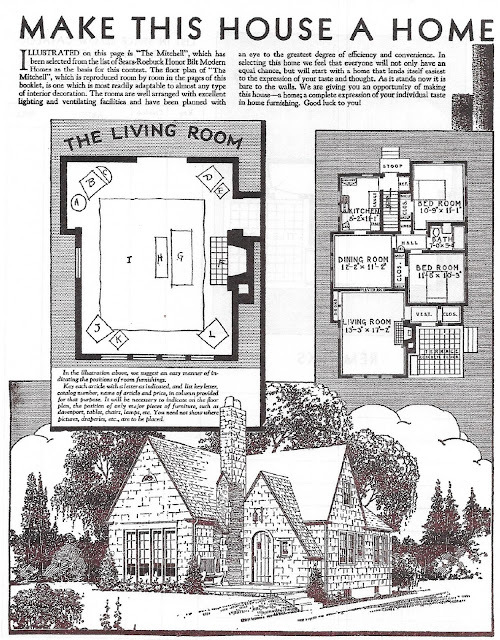 Sears management closely tracked national figures and trends, and they anticipated that 1930 could be a down year for the Modern Homes department and for Sears in general. 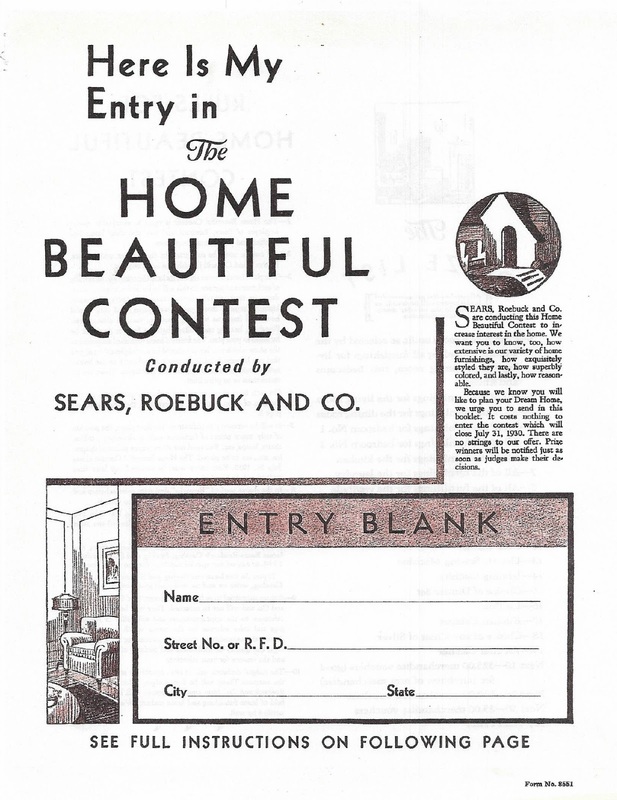 To garner excitement about its homes and home furnishings, Sears started the national Home Beautiful Contest in early 1930. Longtime Sears employee Kurt Ulbricht had a copy of the entry form and was kind enough to send it to me. Sears asked entrants to plan the layouts of five rooms in their dream homes and fill them with Sears merchandise. Blank floor plans were provided for each room. Entrants would have to closely study every item in the Sears merchandise catalog to have a chance of winning. Scan courtesy of Kurt Ulbricht. Sears states that the reason for the contest is to "increase interest" in its homes and home furnishings. Scan courtesy of Kurt Ulbricht. There were 104 prizes available. 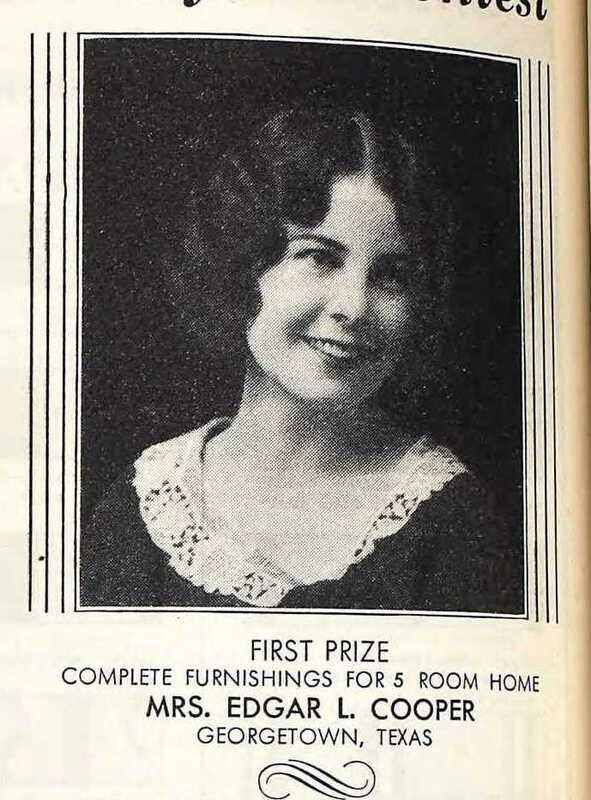 The first-prize winner would get all the furnishings they used in their layouts. This would be complete room furnishings for five rooms--living room, dining room, kitchen and two bedrooms. Scan courtesy of Kurt Ulbricht. You start with a Sears Mitchell house that is "bare to the walls". You need to provide layouts for five rooms--a sample living room design is shown here. Each piece in the room corresponds to an actual product in the Sears catalog. An added bonus of the contest was that Sears got their Sears Mitchell model in front of many potential customers. Scan courtesy of Kurt Ulbricht. 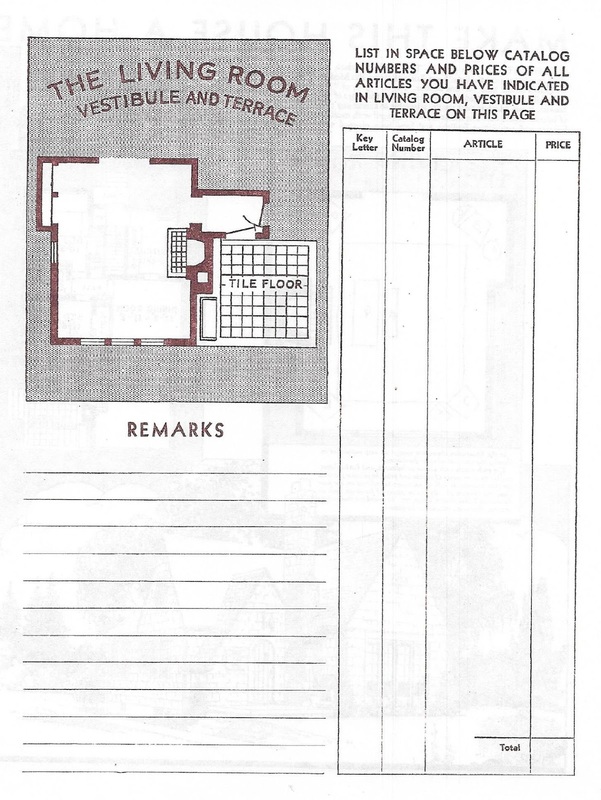 The blank room layout for the Mitchell's living room. Entrants also had to write a 500-word story about their dream house. Scan courtesy of Kurt Ulbricht. 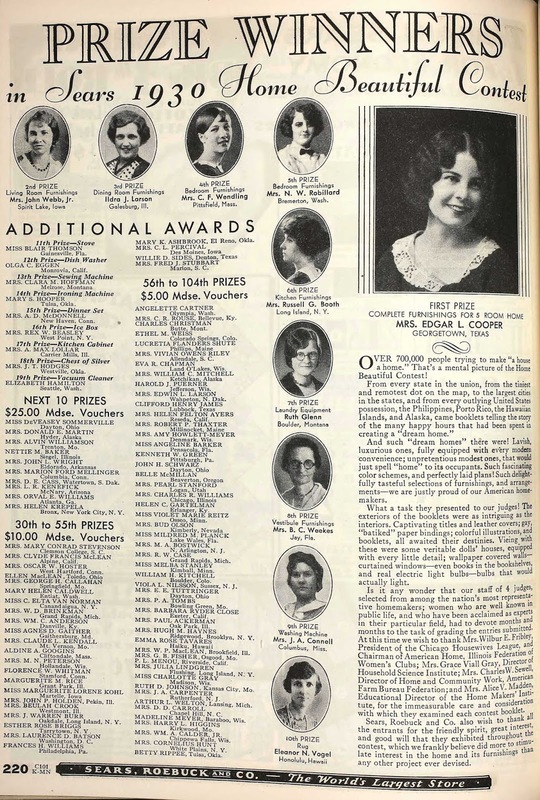 Sears announced the contest winners on January 2, 1931. The design submitted by Mrs. Edgar L. Cooper of Georgetown, Texas was awarded first prize. There were over 700,000 entries submitted. "From every state in the union... and from every outlying United States possession, the Philippines, Porto [sic] Rico, the Hawaiian Islands, and Alaska, came booklets telling the story of the many happy hours that had been spent in creating a 'dream home'." 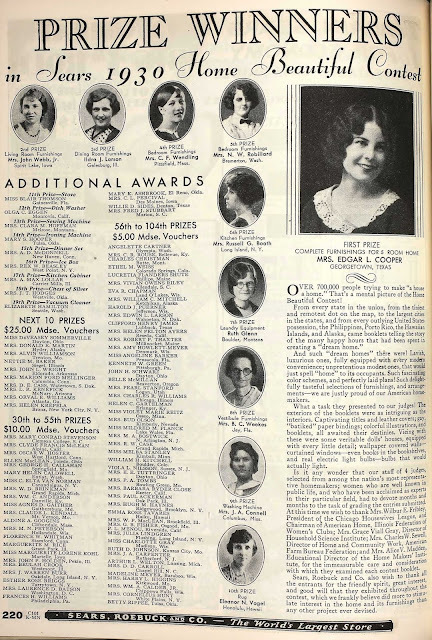 Scan from the Spring 1931 Sears merchandise catalog. The Home Beautiful Contest received national news coverage and was wildly successful as a marketing ploy. According to Sears, the contest "did more to stimulate interest in the home and its furnishings than any other project ever devised." I wonder how many Mitchell homes Sears sold as a result of this contest. Here's a brick version in West Chicago that started going up just as the contest entries were due. Did these homeowners enter the contest too? 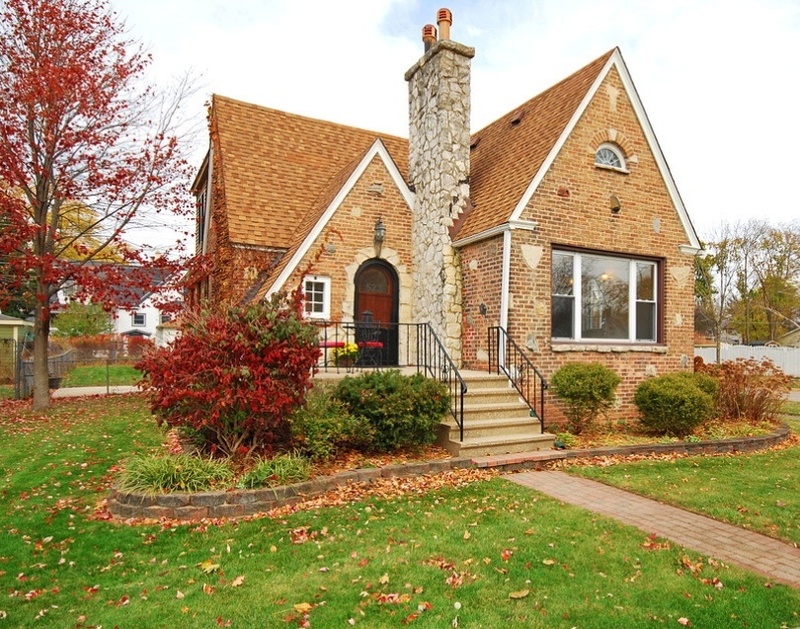 523 E. Grand Lake, West Chicago. The brick version of the Mitchell had a different name--the Stratford. Photo from Realtor site. Sears Stratford--the same house as in the contest entry form, but in brick.